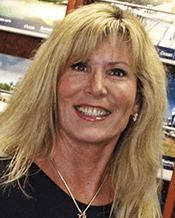 Kim Bagnell Thaler is a pioneer among Florida Keys Realtors. Respected as one of the most influential realtors, she provides an expert level of informed, professional services in middle and upper keys real estate. With vast knowledge, overwhelming experience, and superior commitment, she stands out of all other local Florida Keys Real Estate companies. Kim handles a host of real estate sales across Upper and Middle Keys of Florida including Key Largo real estate and Islamorada real estate. Kim has the resources to provide the broadest selection of Florida Keys Real Estate. Her specialties include Key Largo, Tavernier, Islamorada, Upper Matecumbe, Lower Matecumbe, Layton, Duck Key, Key Colony Beach, and Marathon. Our prime listings include Waterfront Residential Properties, Townhouses, Condos, Bayfront, and Canal Access Homes and many more Florida Keys real estate properties. You can easily find your most cherished piece of paradise in our unique Florida Keys Homes for sale and Florida Keys MLS database. Kim Bagnell Thaler is always ready to help you through the process of locating, financing and closing on a property in the enticing Florida Keys. Click our Listings to begin your search for Upper Keys real estate, Key Largo real estate, Islamorada real estate, Florida Keys homes for sale by owners and Florida Keys MLS or call us to give yourself most exciting Florida Keys real estate property. Respected as one of the most influential realtors, Kim Bagnell provides unparallel leadership qualities in the real estate community. Before launching her services in the Florida Keys, Kim constructed one of the most successful real estate teams in the Mid-West. Kim has also embraced technology with such grace that her competitors often follow her lead. With her tremendous success and an overwhelming amount of experience, Kim continues to revert back to her real estate roots. She still dedicates herself to her client's understanding of the buying and selling process while guiding them through the sometimes treacherous terrain of the real estate adventure. If you are looking for a home in the Florida Keys, before you do anything, contact Kim.